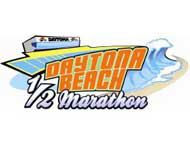 It was announced this week from the Daytona International Speedway that The Daytona Beach Half Marathon returns to the Budweiser Speedweeks lineup in 2014. Scheduled for Sunday, February 16, the sixth annual Daytona Beach Half Marathon, hosted by Volusia County, Daytona International Speedway and the Central Florida Sports Commission will take place one week before the 56th annual “The Great American Race” – the Daytona 500. Registration will open next Wednesday, April 17, with the advanced entry fee for the Daytona Beach Half Marathon set at $85 per person. The half marathon will start at 6:30 am, right after The Sprint Unlimited At Daytona finishes up Saturday night, and will make for an early day for the race fans and drivers that will participate in the DAYTONA 500 Qualifying Presented By Kroger Sunday afternoon. This is exciting news for runner enthusiasts that are NASCAR fans. The Daytona Beach Half Marathon’s route has been named one of the seven most scenic half marathons in America by Active.com and features one of the most unique courses in the running world. With the legendary pavement and historic grandstands of Daytona International Speedway serving as the backdrop, runners will start on pit road and run the first two miles on the track. The course then winds through the streets of Daytona Beach, finally reaching “The World’s Most Famous Beach” at approximately the 7.1 mile mark. Runners will then run on the beach for approximately two-tenths of a mile, getting an unobstructed view of the ocean as the sun rises on the beautiful horizon. Returning to the roads of Daytona Beach, runners then head back to the Speedway for the finish and a trip to Gatorade Victory Lane. This continues the tradition of mixing NASCAR with the running community. Hendrick Motorsports did an excellent job capturing the excitement of their racers including the event on their Vine account. Included in the nearly 1,400 runners that registered for the 2013 event were four NASCAR drivers (Jimmie Johnson, Kasey Kahne, Michael Waltrip and Aric Almirola) and more than a dozen other team members. New for 2014, the race organizers will also incorporate a shorter distance race (that has my name all over it), as well as a Kids Race into the half marathon race weekend. Details associated with the additional race and Kids Race, including distance, dates, times and registration information, will be released in the coming months. According to the release, each half marathon participant will receive a race-themed tech shirt, finisher’s medal, post-race party, personalized race bib, and a ticket to DAYTONA 500 Qualifying Presented By Kroger. Included in the DAYTONA 500 Qualifying Presented By Kroger ticket is access to Sprint FANZONE which provides an up-close look at the NASCAR garages and inspection areas as teams prepare for the race. Photo opportunities with race cars and other NASCAR-related items will be available before, during and after the race. The half marathon is open to runners and walkers, at least 12 years of age or older, who can complete the course in less than 3 hours and 30 minutes. For more information about the Daytona Beach Half Marathon, visit www.daytonabeachhalf.com . 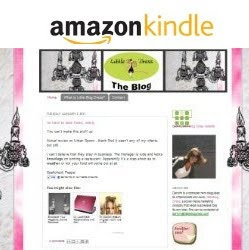 For real time updates like the race on Facebook or follow on Twitter.